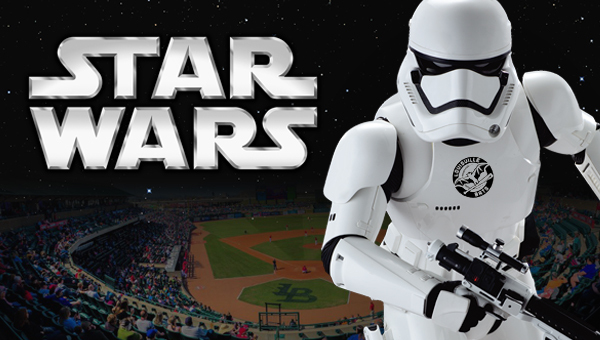 May the Force be with you on Saturday, May 12 as the Bats host a night full of STAR WARS fun and excitement. Dress up as your favorite STAR WARS character and be part of the STAR WARS invasion at Louisville Slugger Field. STAR WARS themed sights and sounds, character appearances, photo opportunities, special giveaways & more will all be taking place on the night of the game! Over 40 STAR WARS characters are scheduled to appear! STAR WARS local fan groups will come dressed in a variety of character costumes and will be available for photo ops in the Hall of Fame during the game. Be sure to wear your best STAR WARS costume to the game and enter our costume contest! Special prizes will be given away to the top three adult costumes and top three child costumes. To enter the contest, be sure to check in at the Suite Lobby behind section 115 any time during the 1st through 3rd innings. Special edition STAR WARS jerseys will be worn by the Bats players during the game. Following the game all jerseys will be auctioned off with proceeds benefitting Norton Children's Hospital. The auction will begin on Wednesday, May 16 @ 10:00 AM and end on Wednesday, May 23 @ 10:00 PM Fans can bid on the jerseys by visiting the Bats Official Auction Site. You may purchase tickets to STAR WARS Night by clicking on the "Buy Now" link above. All online orders are subject to a $1.75 per ticket convenience charge. For questions regarding STAR WARS Night or to order by phone please call the Ticket Office at (855) 228-8497. Tickets purchased by phone may be left at Will Call or mailed. A $3 phone order fee will be applied to each phone order. 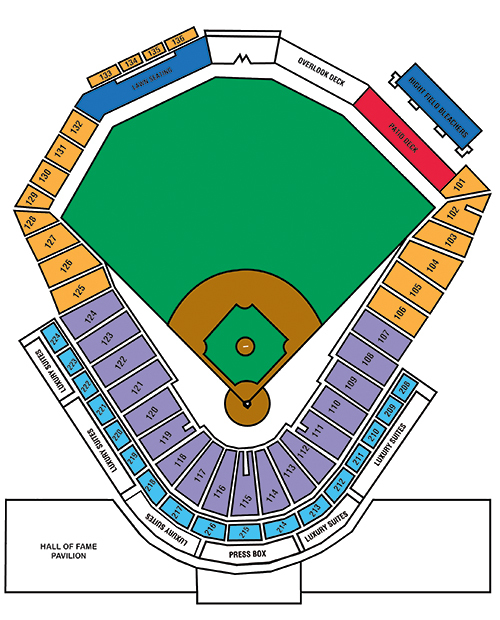 Tickets may be purchased in-person by visiting the Louisville Bats Advanced Ticket Window located on the corner of Preston Street and Main Street during normal business hours. All Club Level tickets (Sections 208 - 224) are preloaded with $5 in stadium value that may be used for food* or merchandise in the Team Store. In addition, Club Level group tickets provide exclusive access to the climate-controlled Jack Daniel's Club Level Bar & Lounge as well as convenient access to concession stands and restrooms. Additional stadium value may be added.